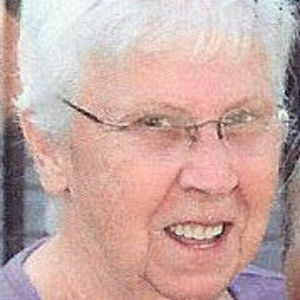 STERLING - Janice Mae Crenshaw, 79 of Sterling, Illinois passed away Sunday, May 25, 2014. She was born January 2, 1935 in Hahnaman Township, the daughter of John and Temple M. (Shere) Pierceson. She married Jerry Crenshaw March 23, 1952 in Rock Falls. Janice had worked at the former Haskell's Office Supply in Sterling for 10 years. She was a devoted homemaker, avid gardener and quilter. Survived by her husband Jerry; her children: Jerry F. (Betsy) Crenshaw of Front Royal, Virginia, Barbara A. (Keith) Frederick of Morrison, Illinois, Susan M. (Buck) Sharon of Good Hope, IL and Thomas L. Crenshaw of Alexandria, Virginia. She is also survived by nine grandchildren and 12 great grandchildren. She is preceded in death by her parents, two brothers and one half brother. Visitation will be held on Thursday May 29, 2014 from 5-7 PM at the McDonald Funeral Home, 1002 12th Avenue in Rock Falls. Graveside services will follow on Friday at 10 AM at Tampico Memorial Cemetery with the Reverend Courtney Chandler, pastor of the First Christian Church in Sterling officiating.